“This is Sarafa market, you will feel a different vibe here in the night,” said Amrita, my friend and host in Indore, as we drove through the tiny by-lanes during the day. In a city where food is a conversation starter, my hopes were high and I couldn’t wait to dive headlong into the street, which has many seasoned food writers swearing by it. I walk in at Sarafa, armed with my curiosity and appetite. The shops that had gold and silver jewellery shining through their windows now had their shutters down, and the street was lined with makeshift food stalls. 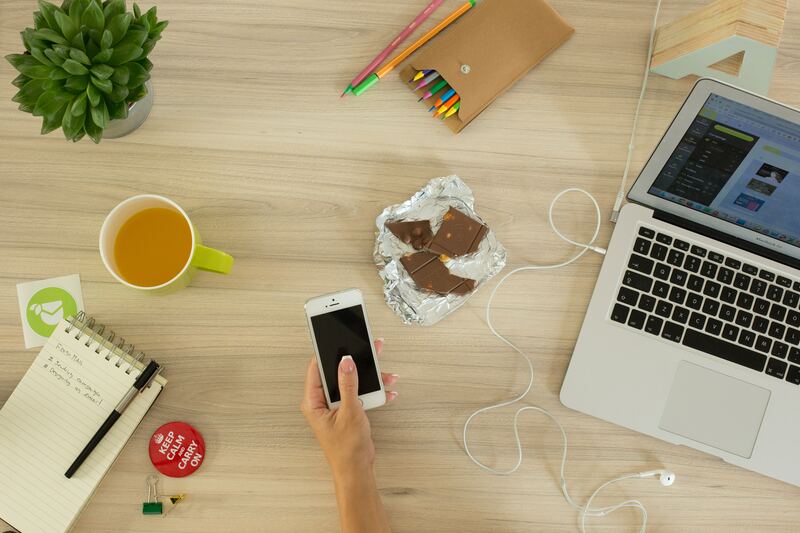 Amrita has the itinerary chalked out listing down everything I must try with room for whatever catches my fancy. I was in Indore a few days ago for a mere one and a half day trip, and man what a trip it was. In just one day I covered 56 Dukaan, Nafees Biryani and Sarafa Bazaar. 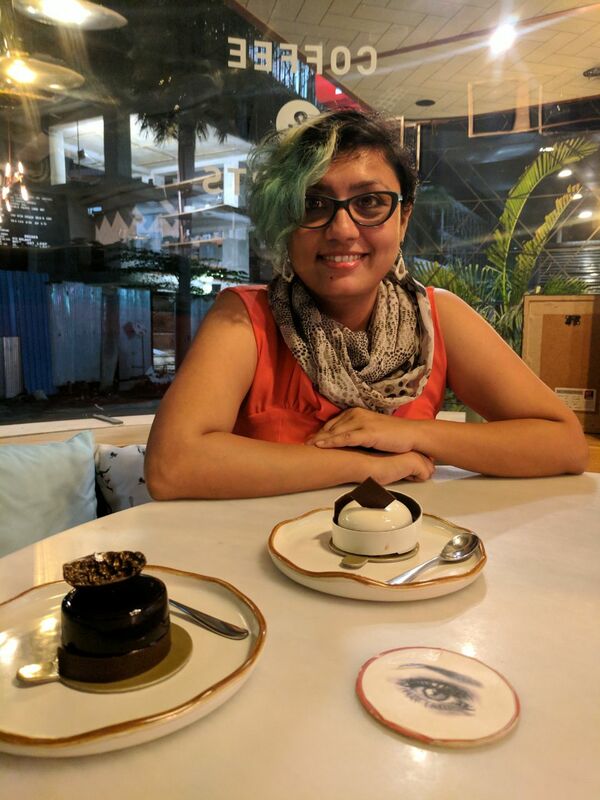 Here’s my Indore food trip in pictures (it’ll make you pack your bags, trust me) and a quick checklist of what to eat and where whaen you travel to Indore. 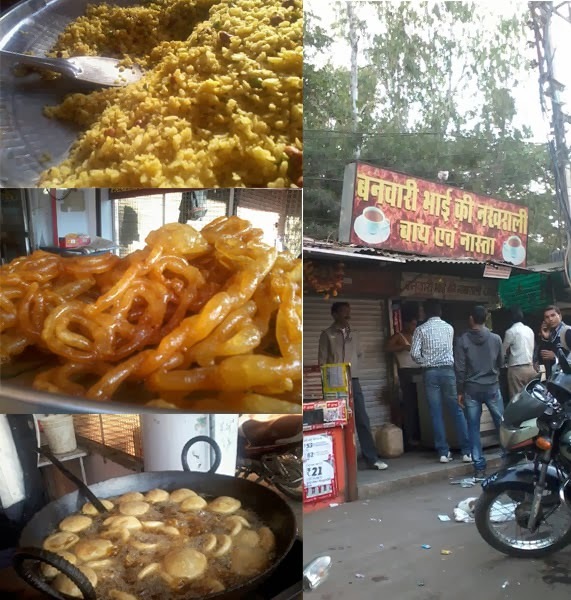 When in Bhopal do what Bhopalis do; eat pohe – jalebi in the morning with rounds of kadak chai and loads of bakar (random conversations about anything right from the weather to politics). The city is sleepy and slow still you will see people getting up early in the morning just to eat pohe, jalebis and kachoris fresh from the wok. That’s exactly what I did on the first day; woke up to watch sunrise from Kaliyasot Dam which is a 15 kms drive from Shahpura lake. The lake is equally beautiful early in the morning and a perfect place for bird watching. Thick fog floating over the lake during winters gives it an almost mysterious look. After soaking in the early morning sun and the view we took a pit stop at a sweet shop in Nehru Nagar to eat jalebis, pohe and hot cup of Banwari Bhai Ki Nakhrali Chai. Every nook and corner of Bhopal serves this simple yet delicious breakfast early in the morning. On a chilly winter morning when you don’t want to leave the blanket, stepping out for crispy hot jalebis is worth all the trouble. Another great place to grab some breakfast is the very famous Indian Coffee House in New Market. Although the decor has been changed a lot and the signature green curtains are gone yet the food remains as good as it was years ago. 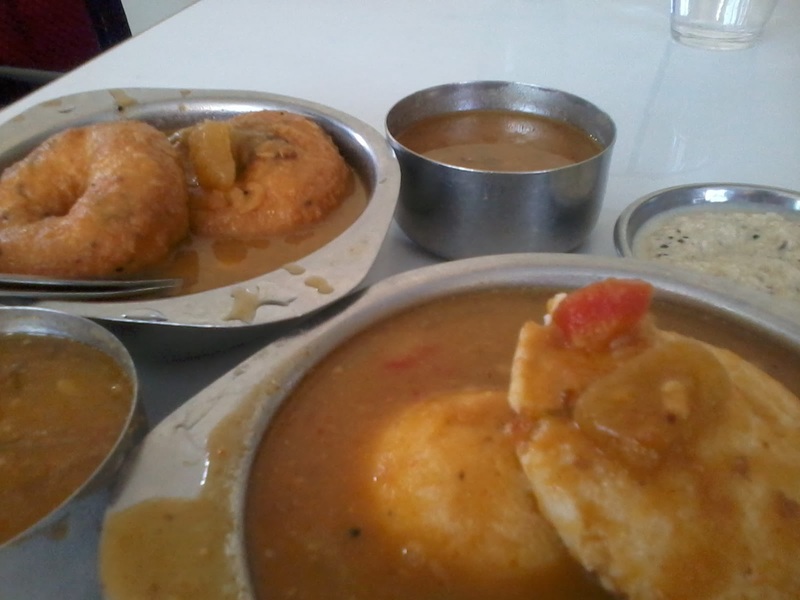 Hot idlis and wadas dunked in sambhar coupled with filter coffee is the perfect comfort food. The new Bhopal city has plenty to offer; there’s Sair Sapata near Bada Talab, perfect for an evening stroll and a boat ride in the lake. Birla Temple gives a beautiful view of the lake and city in the evening. For the History and Culture buffs there’s Manav Sangrahalaya and the newly opened Tribal Museum. A part of Bhopal which is not to be missed is the Old City. There’s a beautiful charm in the narrow lanes of the markets around Jama Masjid. The area is always bustling with people and there are small shops making chhole tikiya, phulki (Bhopali version of Pani Puri), kulche, chhole bhature, lassi and much more. Hotel Jameel in Ibrahimpura is a great place to grab some nalli nihari, rumali roti, kebabs and chicken fry for lunch. However, post 7pm all Bhopalis have just one destination, the famous Chatori Galli selling bade ke kebab, haleem, nalli nihari and biryani (my visit to this unparalleled galli is still due and I promise a separate post on that after my visit). 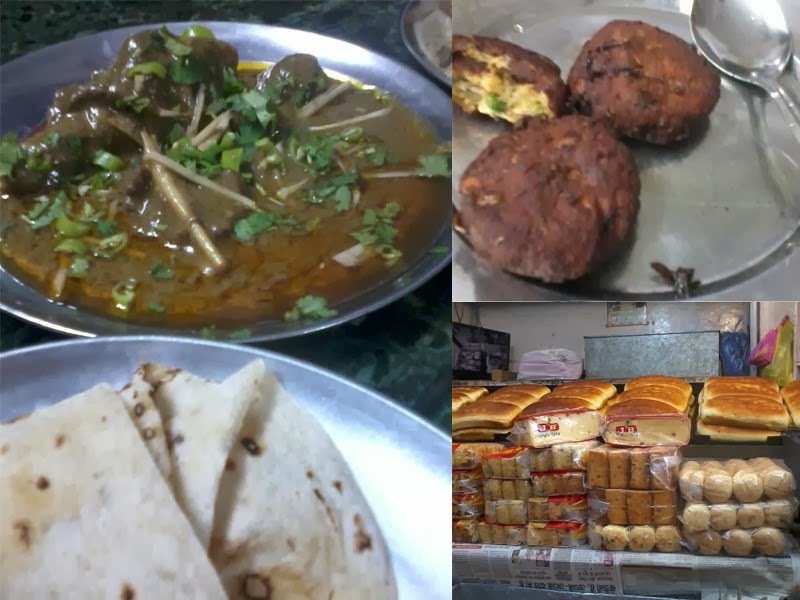 There are also a couple of bakeries in Ibrahimpura market which sell freshly baked breads like sheermal, bakarkhani etc; a perfect foil to the spicy mutton gravies. If you’re not fond of breads do pick up some nankhatais and rusks from these shops. One delicacy that you shouldn’t miss is the Barf rasmalai ke done at Ramudada’s stall. At around 4pm a guy comes on a Bajaj scooter near Jama Masjid with his whole stall set on the backseat of the scooter. Apart from the regular ice golas (crushed ice flavoured with syrups) he makes the rasmalai dona. 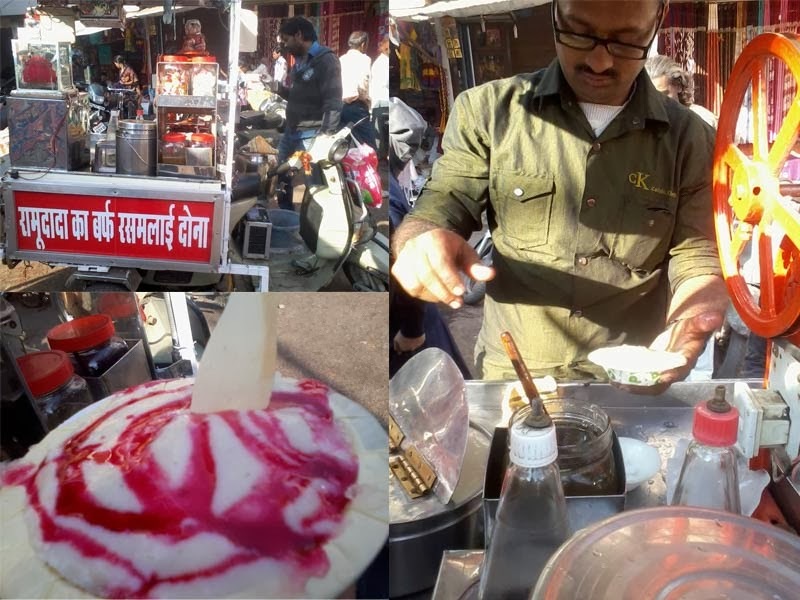 He takes crushed ice in a paper bowl, tops it with sugar syrup, pours a big spoon full of thick rabdi over it, tops it with rose syrup and serves. The grainy rabdi with a layer of ice under it is a perfect combination and I can’t be thankful enough to the blog Bhopale for this recommendation. 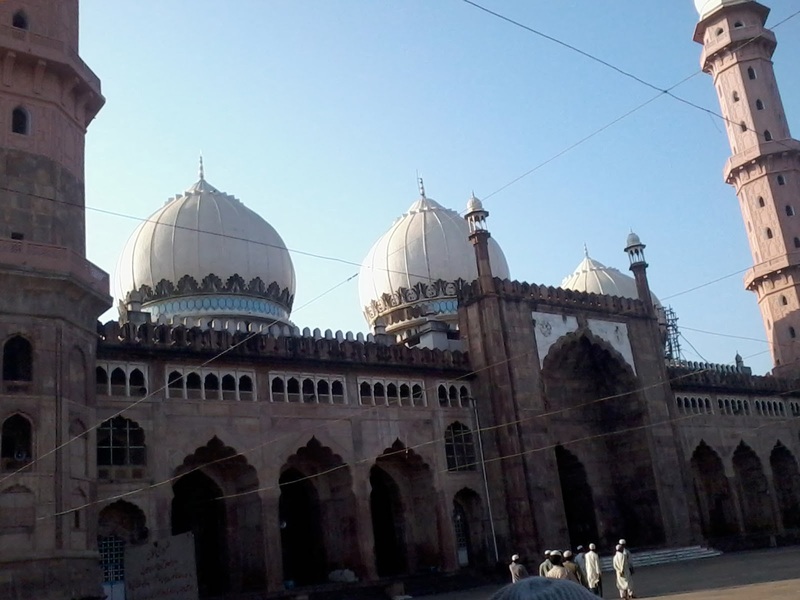 10 minutes away from Jama Masjid is Taj ul Masjid, Asia’s largest mosque. The minarets of this mosque can be seen from the Birla Temple which is literally at the other end of the city. 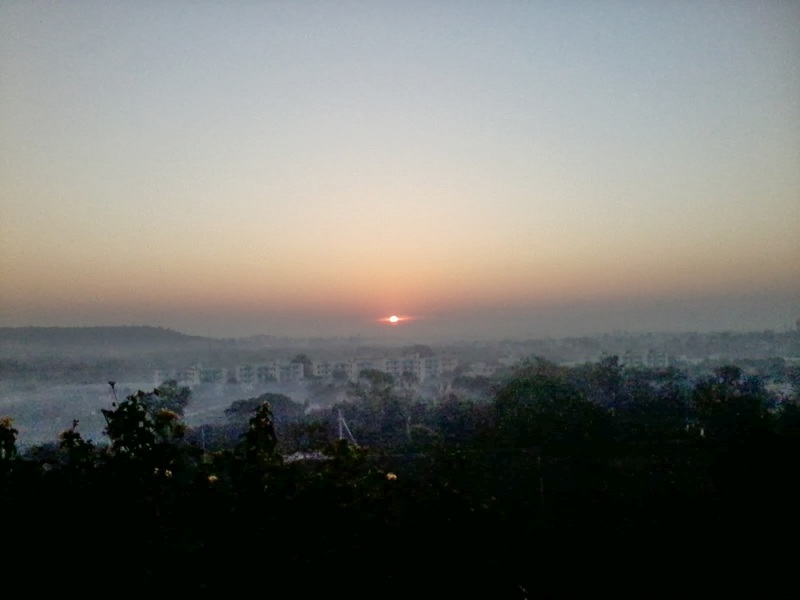 Bhopal has both, an old world charm and a fresh and young vibe in the new city. There’s a lot of development yet the nature has been kept intact. While it’s chaos in the old city, the new city is more planned and clutter free. I wish to explore and share more aspects of this city through words and pictures in my visits to come.